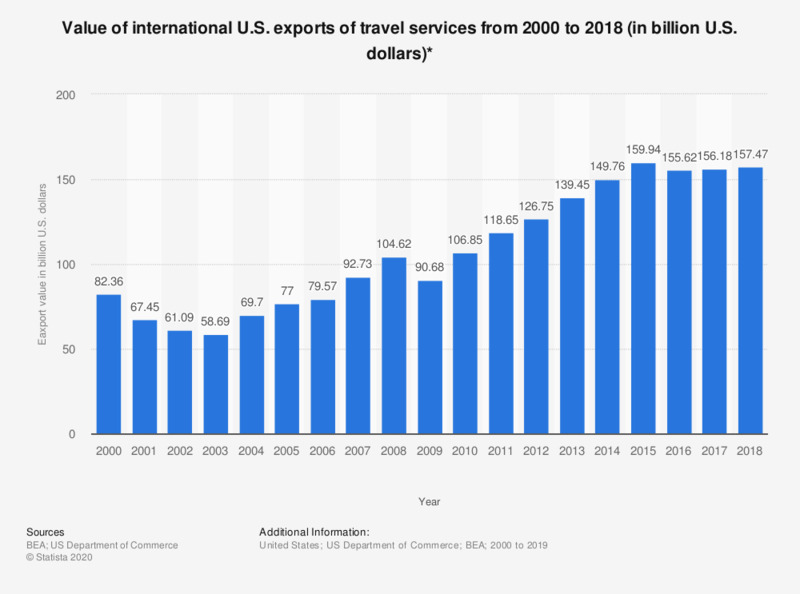 This timeline shows the value of international U.S. exports of travel services from 2000 to 2017. In 2017, the value of international U.S. exports of travel services amounted to around 155.81 billion U.S. dollars. * All travel purposes include 1) business travel, including expenditures by border, seasonal, and other short-term workers and 2) personal travel, including health-related and education-related travel.